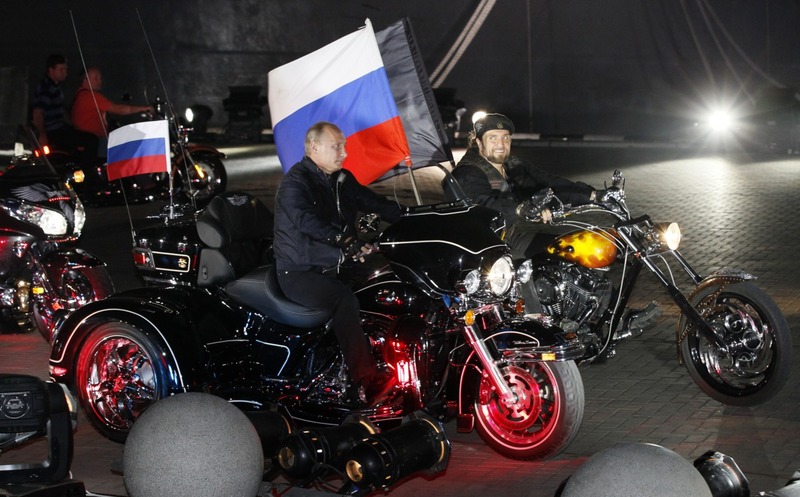 Vladimir Putin is starting his election year by touring on a motorbike, with Russian motorcycle club The Night Wolves, who were instrumental in the rescue of children and families from war-torn areas during WWII. This man is the coolest dude in world politics, bar none. 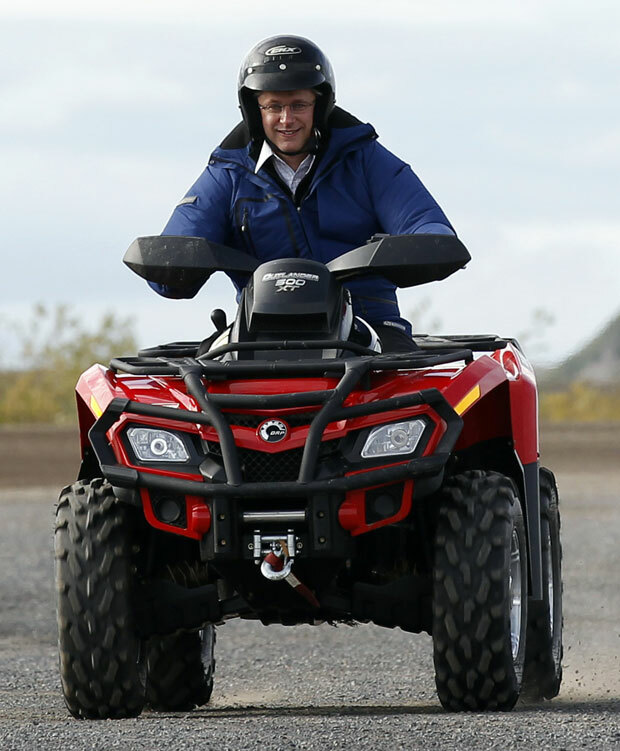 And yes, I feel like I’ve polluted this blog by putting a photo of Harper here. All that being said, the few photos that have emerged from Putin’s tour are pretty interesting from a somewhat analytical viewpoint. 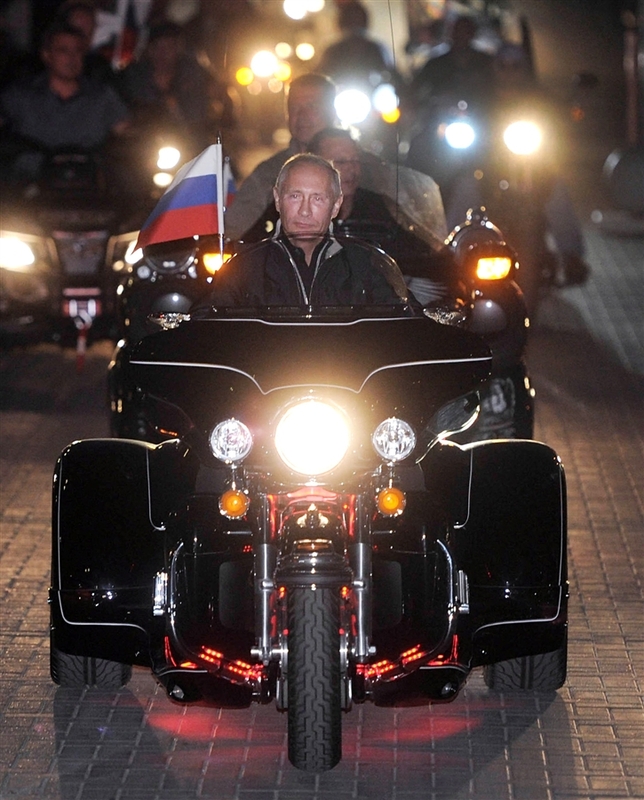 Most are at night, most of the vehicles are in black, and he really does look like a proud leader of a motorcycle gang parading across his conquered territory. Flags and banners, a lack of visible security or bullet screens; there’s a brazenness to it that’s both intimidating and likely ‘inspiring’ of power, all of which softened by the idea that he’s travelling with WWII veterans who rescued children. Not to mention the delicious “pack” mentality that is no doubt infectious to those he’s riding with and visiting. There’s a fairly interesting adaptive form of nationalism at work here, signified by the flags, but masked by motorcycle culture and compassionate military history, and I’d say a little sense of rebellion. Probably more than I have time to write here about, but I’ll be keeping an eye on Mr. Putin. Clever and stylish!